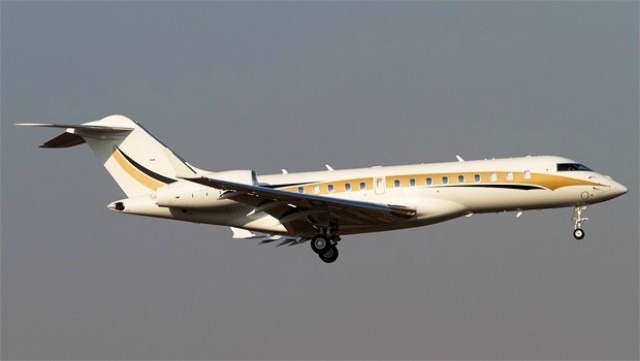 A South African judge has ordered the owners of a Canadian-financed business jet to ground the aircraft while loan default allegations are dealt with. The Export Development Bank loaned the controversial Gupta family more than $50 million CAD to buy the Global 6000 from Bombardier. The Guptas are now on the run from corruption charges involving disgraced South African President Jacob Zuma. EDC says the Guptas used the bizjet to get out of the country, have turned off its tracking equipment and are behind in their payments. It wants the plane back and to “decouple” itself from the notorious billionaire family. The Guptas fought the application saying EDC knew exactly who it was lending the money to and the court action was a move to “salvage its rather shaky reputation.” The judge sided with EDC saying the aircraft needs to be put it in safekeeping to make sure the Guptas don’t use it for unlawful purposes, which could result in its seizure. The plane has been spotted in Dubai, Russia and India in the last month.